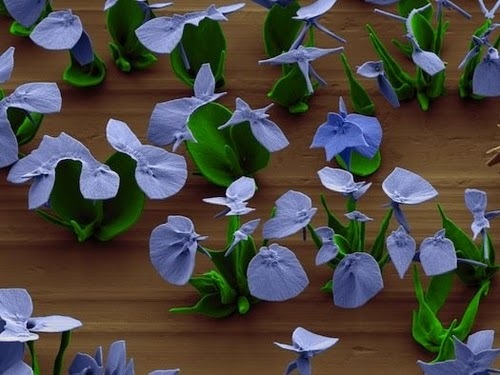 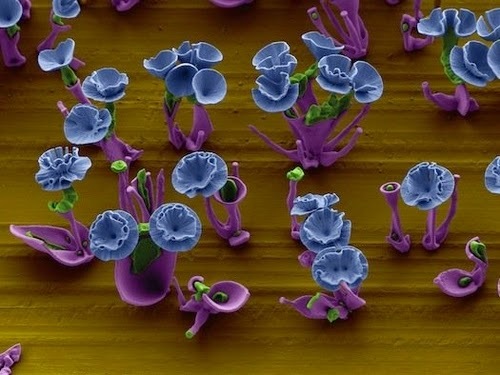 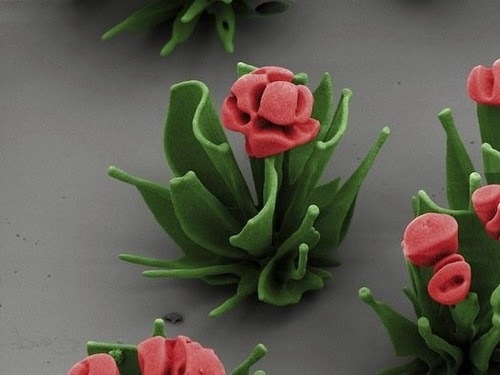 Harvard University constructed these flowers made of crystals using chemical reactions. 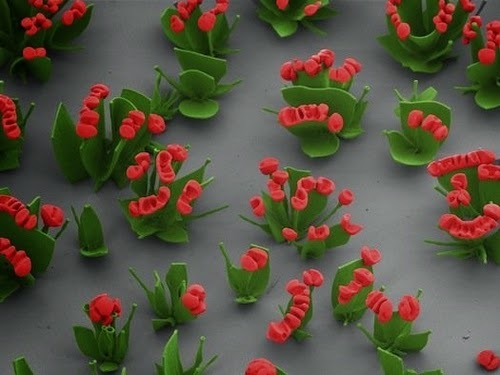 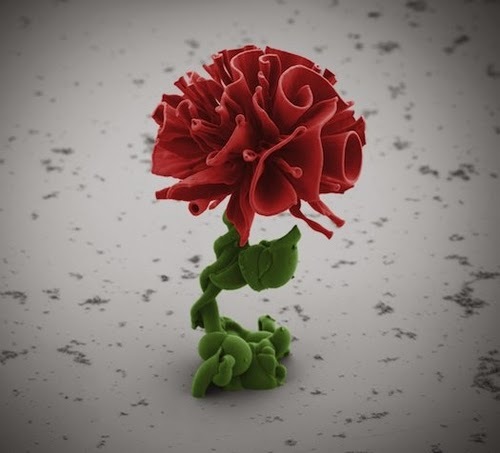 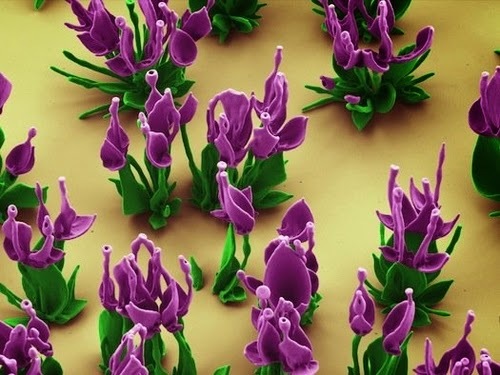 This isn't the amazing thing, You need an electron microscope to view these flowers as they are measured in microns (1 millimetre = 1000 microns). 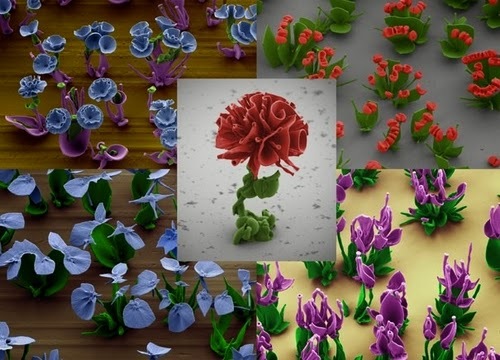 The flowers were coloured in but the construction is absolutely real.